Saunders Museum houses a fascinating collection from Berryville’s native son Colonel C. Burton “Buck” Saunders, who donated the very building that originally was his home in the early 1900s to the town of Berryville to serve as Berryville’s City Hall, and willed land and money to build a museum building to display the vast collections he amassed during his lifetime. 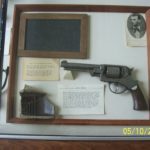 Today this impressive little museum features some big displays of the world’s most valuable guns used by famous gunslingers, as well as items memorializing America’s rich, rugged past. 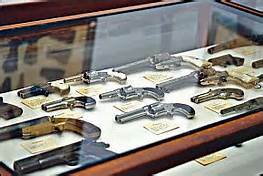 Experts note that the Saunders Museum is one of the largest collection of rare guns in America. 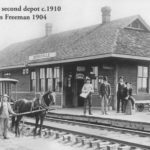 Where did the guns come from? 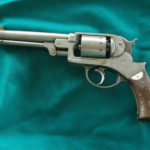 The guns were donated to the city by Col. Saunders through his world travels to visit kinds and sultans who were impressed with his marksmanship. Col. Saunders acquired pistols belonging to Jesse James, Annie Oakley, Billy The Kid and Sam Houston during his lifetime, and these are only a few of the famous — or infamous — gun owners he sought guns from to add to his vast collection. 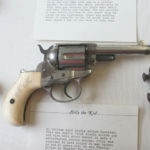 However, pistols aren’t the only treasures on display at Saunders Museum. You can also see up close an original Bowie Knife, Chief Sitting Bull’s war bonnet, a knife owned by Col. William F. “Buffalo Bill” Cody, and spurs owned by Mexican Revolutionary General Francisco “Pancho” — one of the most prominent figures of the Mexican Revolution. And, those items only scratch the surface of what’s on display. 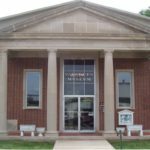 It’s definitely worth the trip to see what’s waiting for you and your family to see up close at the Saunders Museum in Berryville, Arkansas. This attraction is open from April 15 through the first Saturday in November. Call for hours and to schedule group tours. Doors close to new entrants at 4 p.m. The museum is closed Memorial Day, 4th of July and Labor Day. The phone number is (870) 423-2563. 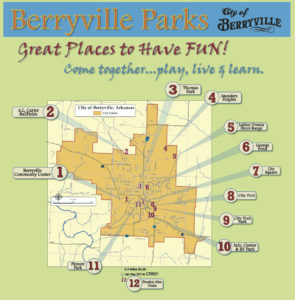 The museum is located at 113-115 East Madison, Berryville, just one block off the historic downtown public square in Berryville. 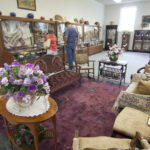 An extensive collection of firearms (almost four hundred items) including antique and unusual pieces; knives, Victorian clothing, accessories, textiles and furniture. 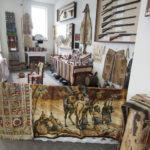 Exhibits include guns used by the famous and infamous….like Jesse and Frank James, Belle Star, Cole Younger, Cherokee Bill, Billy the Kid, Wild Bill Hickok and Buffalo Bill Cody; Sitting Bull’s war bonnet and an Arab sheik’s tent; Persian rugs and Teakwood furniture. Learn more by clicking on “Saunders Museum: Best Kept Ozark Secret” by GunsAmerica Digest. See history up close for yourself. 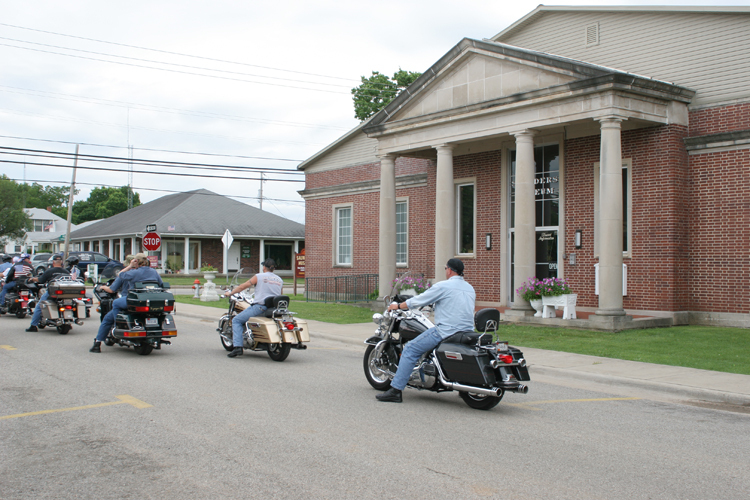 Make plans today to stop in and explore the Saunders Museum in Berryville, Arkansas soon!